The Life Dialogue: Theistic Evolution 4 | J.W. Wartick -"Always Have a Reason"
If I can correct something, the selection of a characteristic is not random. It is the appearance of the characteristic that is random, and it only occurs in one animal of one species. The question is whether that animal will survive long enough to reproduce, and whether that feature can be spread through reproduction. If it can, then its offspring will have that feature, then their offspring and so on. If it’s advantageous, then eventually all of that species will have it; if it is not, then its prevalence will be random. If it is negative, then it will be automatically bred out of the population. Consider one mutation in a female rat that results in no teeth, and another rat with a mutation that results in shaper teeth. One mutation is negative and the other is positive. The one with sharper teeth might live longer than other rats, and hence live to reproduce more times. By producing more than the average offspring, the new feature will eventually take over. The rat without teeth might reproduce once or twice, but it will surely die early, and so will its offspring. Eventually, it will die off. In conclusion, the mere appearance of the mutation is random. The selection for it is based merely on how well that mutation aids in survival. A TE starts with God’s existence, observes order, and concludes God designed it. An IDer however starts with order, observes the apparent design, and concludes God must exist. The contention between a TE and an IDer is that for a TE, God is the premise; for an IDer, God is a scientific conclusion. The problem for IDers (in my opinion) is that the appearance of order does not lead unescapably to the conclusion that God exists, unless your heart is at work. Take your heart out of it, and the conclusion is that the order exists because there is an advantage to its existence… pretty cold and stark, which is why many Christians see science as a path away from God. A TE however already believes God exists, and isn’t trying to prove it. Everything they observe is assumed to be a manifestation of God’s glorious design… nothing cold and start about that. Thanks for your comment! I find your discussion of the differences between ID and TE particularly interesting… I’d always kind of thought of it fairly differently–TE seems to me to assume God exists, and then go about constructing ways that He set up nature such that it runs on its own–which seems to eliminate the need for God in the process, while ID seemed to allow God more dynamic interaction with nature. Perhaps I’ll need to rethink this a bit. Thanks for the clarification on the random mutations, also. I’ve continually throughout this dialogue said I’m not a scientist, just an interested lay person, so any clarifications are welcome. I think that my objection stands, at least as far as their article is concerned, because the wording they used explicitly states “A relatively simple object can become more complex by incorporating information about its environment into itself, via a process of random exploration and feedback”. This seems to me to be suggesting that the organism itself randomly selects things from the environment and incorporates them. I know of no mechanism which would allow this to occur, but even leaving that aside, I think the random nature implied here would tend to lead towards termination of a species, rather than prolonged survival. I could be wrong, but it just doesn’t make a lot of sense to me. There aren’t exactly a set of “things” to select from. Simply, every being is born a little a different. That’s all. Some differences make it easier to survive, some make it harder, and some are neutral. The wording in the article is a bit unfortunate, implying a will or a force on the part of the organism. However, I completely agree that most TEs believe God is absent from the process He set up. I’m in the middle. I believe God set up a process that will run independently without His intercession. Yet, He intercedes… like nudging a rock while it rolls down the hill. Natural selection is in no way random. If orange and green bugs live in green grass, the orange bugs are more likely to be eaten, and the orange gene may very well be lost. UNLESS they can find some dead leaves to hide in! BUT NOW the only bugs in that population will be the ones that can 1) find the orange leaves and 2) digest and metabolize the orange leaves. Now, this population has not one, but three traits distinguishing it from the green bugs: orangeness, leaf hunting, and leaf digestion. Keith Miller is a molecular geneticist. It’s molecular genetics that finally pushed me fully into the evolutionary viewpoint. Jumping genes, transposons, ERV’s and pseudogenes ain’t intelligent. (But they are glorious!) 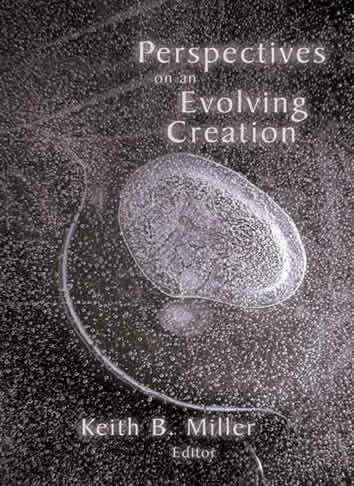 I’d also recommend you read the synopsis of the evolution of the whale at biologos.org. The case for evolution is massive, convincing, and glorious. Thanks a lot for your comments! I will try to get back to you over the weekend. I’m still recovering from a flu right now so I’ve been a bit out of the loop.